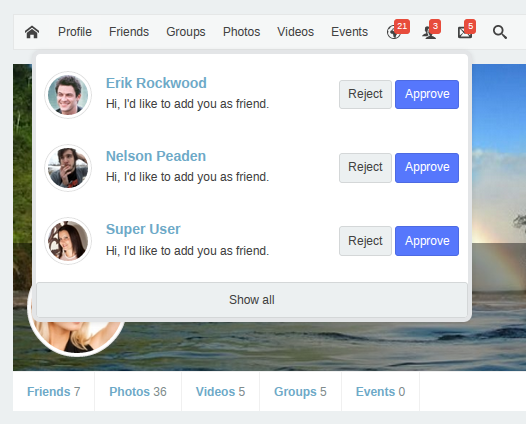 JomSocial is an award-winning, powerful, social networking component for Joomla! It allows you to create your own Social Network with Photo and Video Gallery, Event Management, Activity Stream and other features that work out of the box. 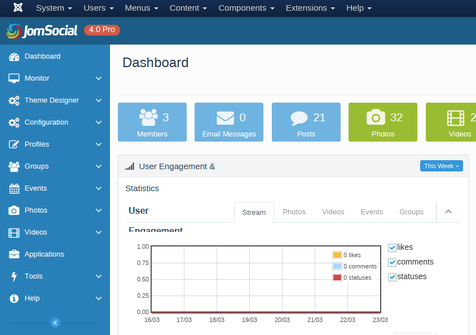 There is no better or more powerful community extension for Joomla! JomSocial is designed to quickly build your member base and let them engage in social activities such as making new friends, voicing out opinions, sharing pictures and videos, managing events, or even launching a social revolution. Creating your own social networking for your niche would greatly benefits your community. Whether you have a website for business community, gamers, sports fans or other online communities, you can free yourself from restrictive social environment and customize your own community with unique features and brand identity. 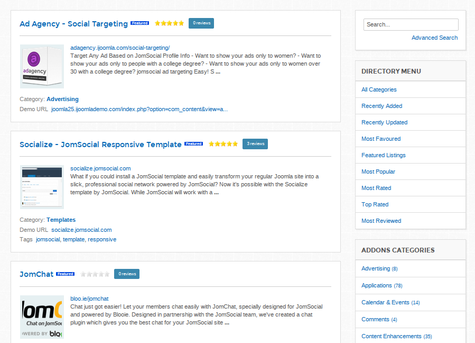 JomSocial is supported by many template clubs such as Rockettheme, Joomlashack, Joomlart, JoomShaper and many more to provide you endless choices of templates. JomSocial has hundreds of extensions from third party developers that add more features to your social network and make it unique. This includes paid membership, file uploader, music player, chat system and translation file for various languages. Don't wait further to experience the best social network built for your site. Media sharing with photos and videos gallery. 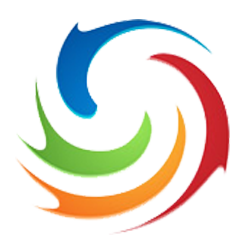 Group and Discussions provide customized level of sharing. Postbox to post updates, photos, videos and events. 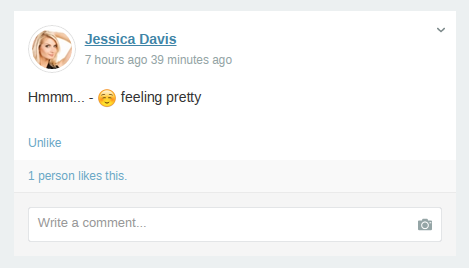 'Like' and 'Comment' on Activity Stream. Cross update to and from Facebook. Its backend is not working properly. 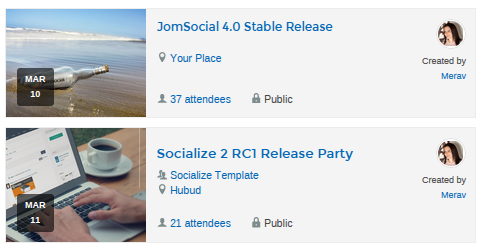 I'm using JomSocial 4.2.2 with Joomla 3.6.0. I got that it's just about Joomla 3.6.0, I installed it on Joomla 2.5.0 and there is no any error. JomSocial Pro 4.2.3 is out! 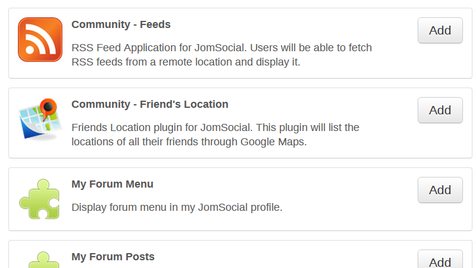 JomSocial 4.2.2 Fix for Joomla 3.6 uploaded. download and replace it. It would be nice if they have a license to download the component unload the original languages also download for free. a greeting. Hello. Thanks for your Download. But there is a Bug.. after Installing i recieved a white Side... Frontpage works.. adminpage is a white site - Jomsocial.. Please update to version 4.2.5. What points is it talking about? Where do I get those points? Waiting to see the last 4.3.4 version in the download section ! 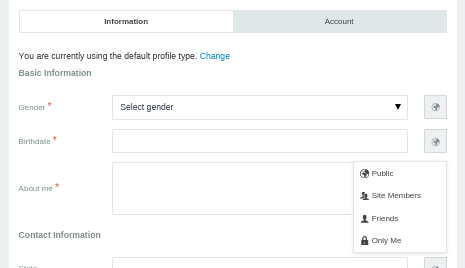 The flat Template you have for Jomsocial has a Bug in the Button User Registration. Please Update to newer Version. Has this happened to anyone / Any tips?? Hello! 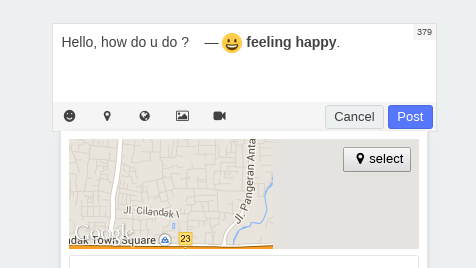 why do not you update the component? the link is broken.pls fix. Hi, thank you for inform us. fixed. En esta versión nueva me aparece el mensaje de arriba, será el archivo de instalación que intento subir? Hi, the size of installation file is big. check your php upload limit of your host.